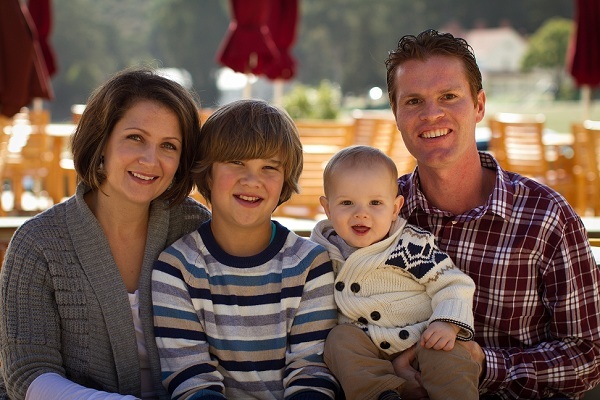 I would like to introduce my family: My wife Erin, my stepson Aiden and our son Kamden. As a family we all receive regular chiropractic care. Chiropractic has played a huge role in all of our lives. When my wife and I first met, Aiden suffered from severe upper respiratory problems. At the age of four years old Aiden consistently had to have at home nebulizer treatments due to his condition and had been hospitalized with pneumonia. Erin was taking Aiden to his medical doctor and urgent care several times a month. 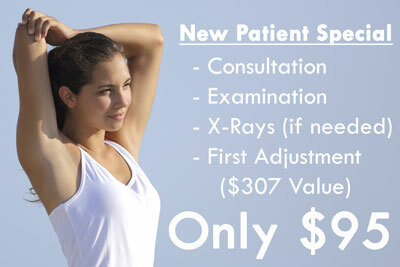 Although my wife had some experience with chiropractic, she thought it was only for back pain and neck pain. I explained to her the principles of chiropractic care and how it solely focuses on the nervous system. Aiden started receiving regular chiropractic care and his condition completely turned around within three months. He no longer needed nebulizer treatments and was able to stop taking prednisone. Aiden has not had one single upper respiratory problem in the past six years with the help of chiropractic care. This extreme transformation with Aiden made my wife a big believer in chiropractic and, therefore, it was an easy decision to have our youngest son, Kamden, receive chiropractic care from birth. Kamden received his first chiropractic adjustment at three hours old. He is a happy, active and healthy baby. Chiropractic adjustments for children are much different from adjustments for adults. The adjustment is very subtle with a soft touch and are very safe and effective. As a result of chiropractic care, we are a happier and healthier family. As for myself, the reason I became a chiropractor is simple. I was involved in many sports as a child, such as, swimming, soccer, basketball and baseball. When I was thirteen, I suffered my first serious injury while playing baseball. The pain started in my right shoulder, moved to my left shoulder, and before long, produced pain throughout my whole upper body. Unaware of how chiropractic could improve my life, I ended up going to the medical doctor who prescribed ineffective drugs that made me drowsy, I performed physical therapy which was painful and after a year of seeing medical chiropractors, my condition only worsened. My injury not only took me out of the game of baseball, but it was extremely difficult to function well in life. I felt constant pain, fear and depression. Finally, my medical doctor informed me that surgery on both shoulders, was the only other option to correct the injury. A week before my scheduled sugery, a family friend told my father about a chiropractor who would be able to help. A month after seeing the chiropractor, I was back to playing baseball, and my vitality returned. Chiropractic care completely gave me my life back, and chiropractic care continues to improve my quality of life today. I have made it my mission to become the best chiropractor I can be, and therefore, the whole purpose of my office is to improve the quality of lives in my community in the same way chiropractic has changed my life!